A sign on the front door of the San Juan Public Lands Center in Durango notifies visitors that the building is closed because of a lapse in federal government funding. Federal workers say the furlough is anything but a vacation. The partial government shutdown enters its 25th day on Wednesday. 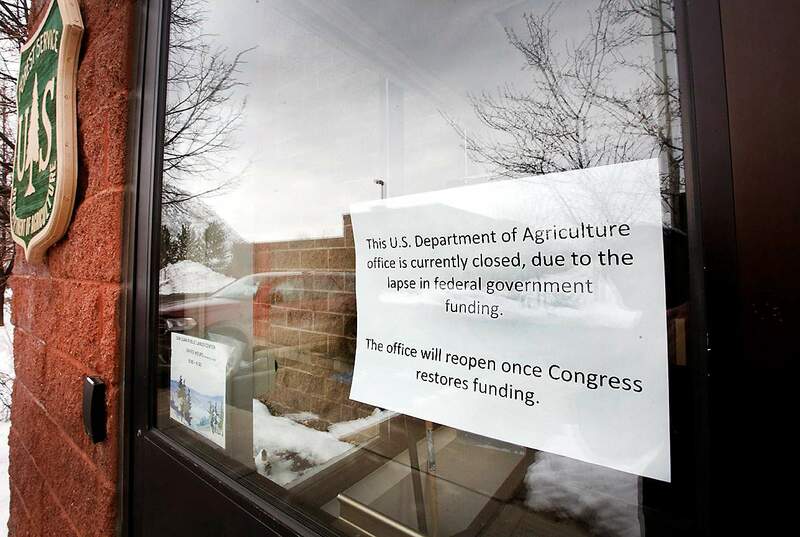 Southwest Colorado is feeling the effects of the partial government shutdown as it enters its 25th day – the longest shutdown in U.S. history. 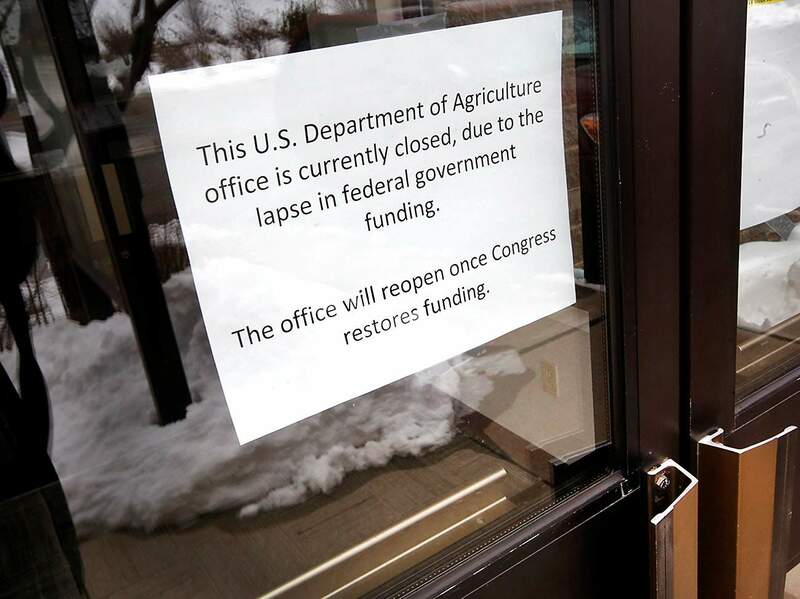 La Plata County commissioners on Tuesday sent a letter to Southwest Colorado’s congressional delegates detailing a handful of direct impacts the shutdown has had on people in the county and urged representatives to reopen the government. So far, the most direct, tangible effect is the lack of work and pay for furloughed federal workers throughout the region, who recently did not receive their first paycheck since the partial shutdown took effect Dec. 22. According to Region 9 Economic Development District of Southwest Colorado, there are 317 federal workers in La Plata County. Montezuma County has 354 workers, Archuleta County has 43 and San Juan County has 11. “We are real American citizens, real humans, with real bills, who are being impacted in real life,” Cam Hooley wrote in a Facebook post Monday. Hooley has worked for the U.S. Forest Service for nearly 30 years. Gretchen Fitzgerald, who has worked as a forester with the U.S. Forest Service in the San Juan National Forest for 30 years, said she has started the process to file for unemployment benefits, and if the shutdown continues much longer, she might have to start looking for new work. The perception that a furlough is some sort of vacation is wrong, both federal employees said. When a shutdown happens, money is tight, and employees never know when they’re going to be called back to work. Hooley agreed, and said although back pay has been granted in the past, these are different times under a different political climate. “The uncertainty is extremely stressful,” she wrote. Mike Burns, Alpine Bank’s regional president for Southwest Colorado, said the bank is offering an interest-free loan equal to one month’s net pay for furloughed federal employees. Burns said the bank has offered the loan during past shutdowns. Already, he said a number of federal employees have taken advantage of the offer, which doesn’t require people to be customers of Alpine Bank. Across Colorado, Burns said Alpine Bank has committed $5 million to the interest-free loan program for federal workers. Pam Willhoite, coordinator for Pine River Shares, which provides services to the community around Bayfield, said the group is offering aid, such as food, clothes and help with energy bills, to furloughed workers. “We don’t ask people’s situations, but we saw a big increase on Friday (the day of the first missed paycheck),” Willhoite said. The partial shutdown is reaching beyond furloughed employees. A project that was in the process of laying the pipe to deliver water to homes in western La Plata County, which is funded in part by the U.S. Department of Agriculture, is on hold now that money isn’t coming in. “The contractor doesn’t want to work until we can process payments again,” said Roy Horvath with La Plata West Water Authority. Horvath said the shutdown will likely delay the project that has already been years in the making to help residents who live in a part of the county that lacks available water. Peter Butler with the Animas River Stakeholders Group said there is a growing concern that the shutdown will cause no work to happen this summer at the Bonita Peak Mining District Superfund site around Silverton. Normally, the Environmental Protection Agency takes the winter months to plan the work season, which occurs over a short time in the summer when conditions are right in the high country. But with EPA workers on furlough, that preparation isn’t happening, and it’s possible the agency will lose an entire year’s worth of work. Butler recalled that in the last significant government shutdown in 2013, the EPA was delayed and lost the following year’s season of work. “It’s a real timeline issue,” he said. Calls to GCC Energy, which operates the King II coal mine near Hesperus, were not returned for this story. But Megan Graham, La Plata County spokeswoman, said the company’s process to expand the mine through the Bureau of Land Management is on hold. Tony Vicari, director of the Durango-La Plata County Airport, did not return phone calls seeking comment about the status of Transportation Security Administration employees. Mesa Verde National Park is closed during the partial federal government shutdown, which has lasted more than three weeks. 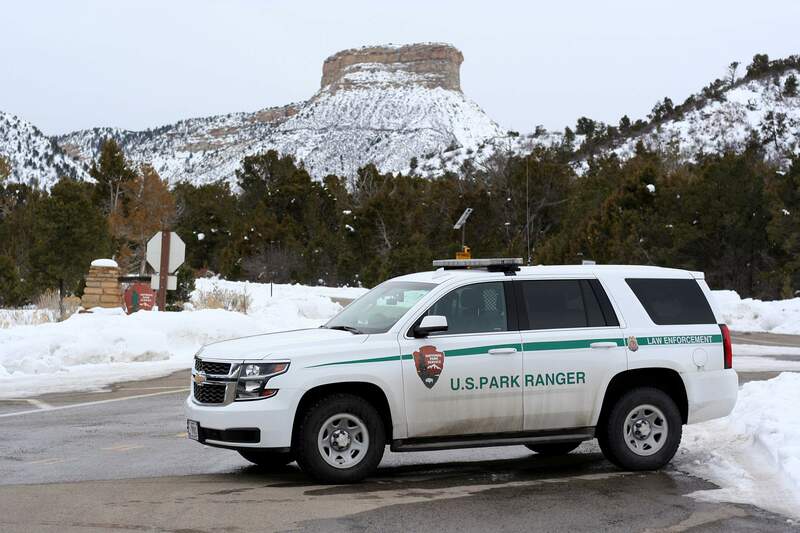 The region’s largest tourist attraction, Mesa Verde National Park, was initially open without any services but closed a few days after the shutdown went into effect because of a snowstorm. Tim Walsworth, executive director of the Durango Business Improvement District, said it is too soon to say if the shutdown has had a direct impact on businesses in Durango. But, he said now that furloughed workers have missed their first paycheck, it’s likely to influence decisions about shopping or eating out. Hooley wrote in her post that in the three weeks since she has been furloughed, she has likely refrained some spending about $2,000 that she otherwise would have spent.